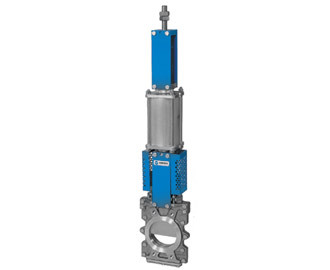 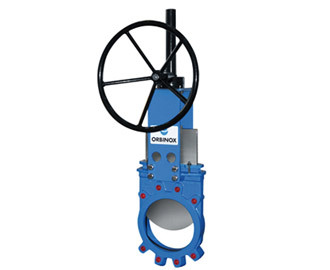 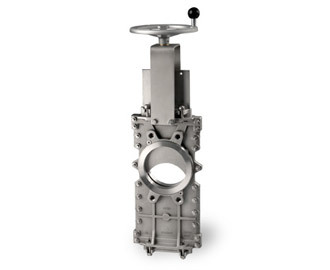 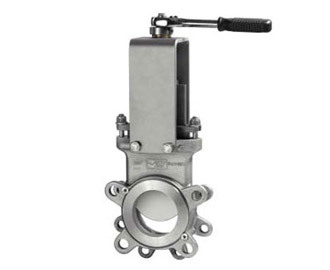 Orbinox – Knife Gate Valves. 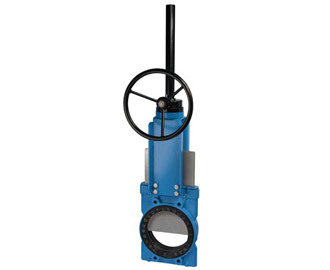 The CR model knife gate is a heavy duty valve designed for handling difficult applications. 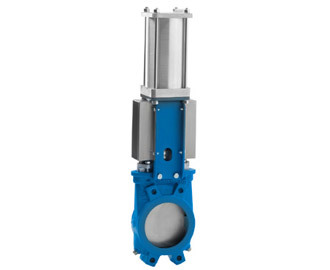 The CR model is suitable for use in recycle applications, like junk or sand traps of pulpers, high consistency cleaners… or as silo outlet with solid material. 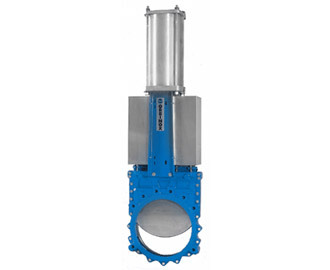 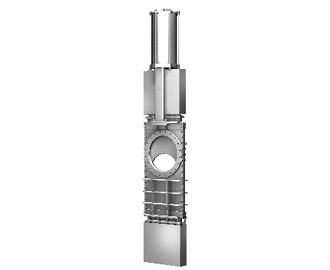 The DT model knife gate is double gate valve widely used in the Pulp and Paper industry (recycling or secondary fibre processing) designed to handle high concentrated or contaminated media. 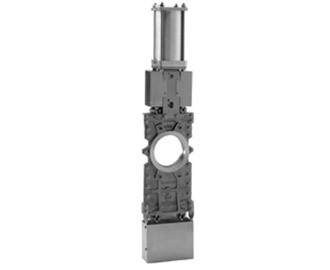 In open position, both gates retract into the body and allow full flow. 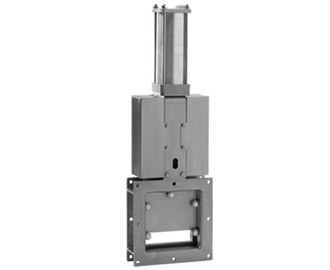 When closing, the gates push stock and contaminants as staples, wires out of the body into the flow. 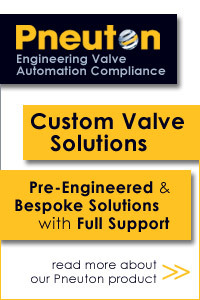 Stroke time is the half of conventional valves. 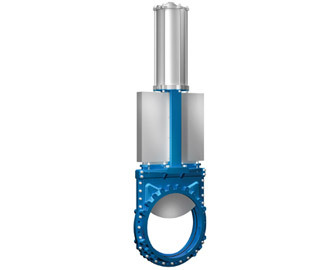 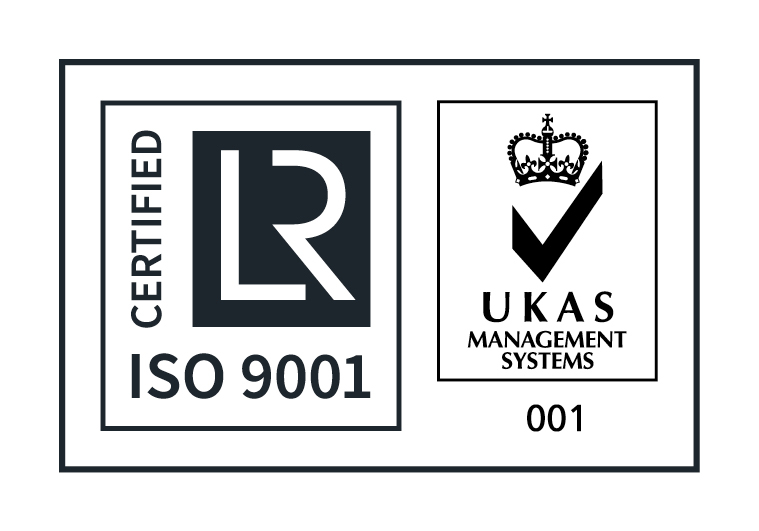 All components subject to wear are replaceable. 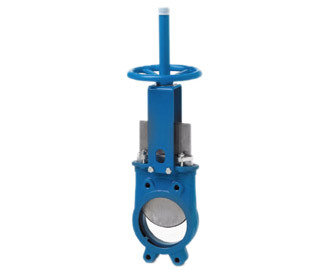 The valve is normally installed in the reverse position (seat upstream) in order to avoid problems like build-up in valve body, seat wear, difficult closing. 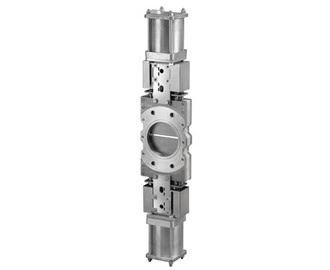 The BX model knife gate is a bi-directional wafer valve specifically designed for the isolation of pulverized coal burner lines on coal fired boilers during maintenance. 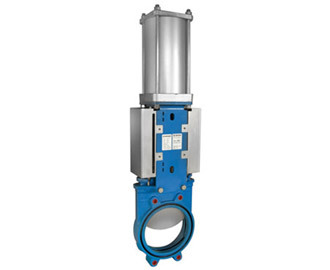 The valve is dust tight which makes it suitable for other bulk handling applications, such as silo outlet valves. 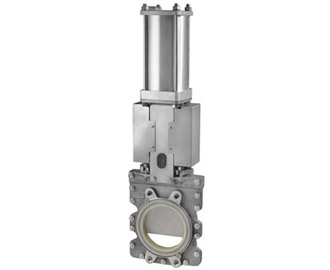 The BX valve has been designed for use in potentially explosive areas (ATEX) and it complies with DIN EN 14460 (Explosion resistant equipment). 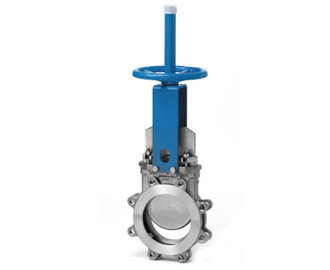 In the closed position, the valve can be used as an effective measure against flame propagation in the event of an explosion. 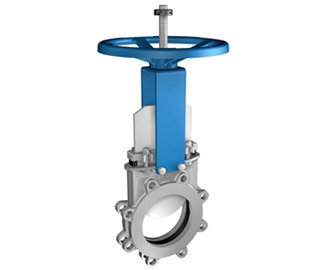 Cast or fabricated construction and precise gate guiding inside the body make this valve a perfect choice for demanding applications (transport of very heavy fluids, food industry). 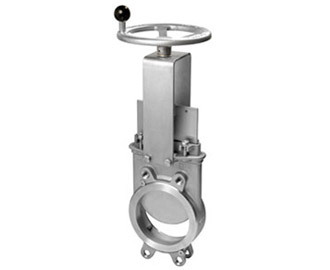 The cast construction, bidirectional design and precise gate guiding inside the body result in a valve meeting the requirements of demanding applications (transport of very heavy fluids, food industry).